You must make reservations at least 5 minutes in advance of the time at The Local. A C'ville gem. 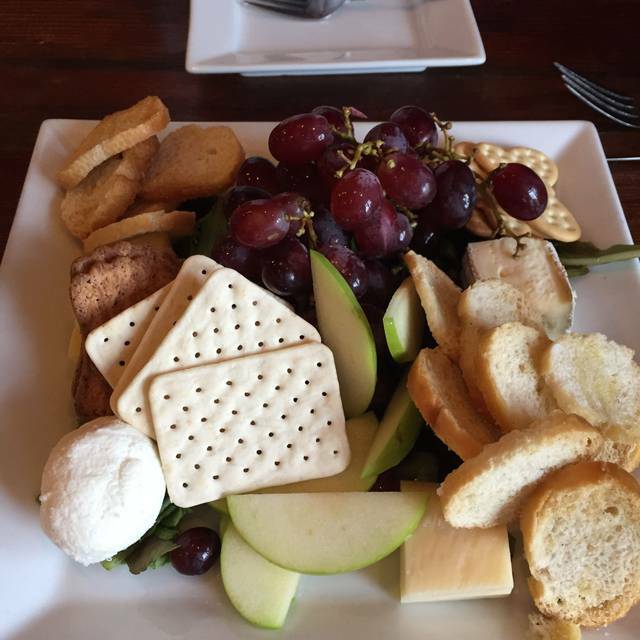 Food is always excellent and staff is very friendly and accommodating. If you are a foodie, this place is a must. Food was very good but husband’s meal was rather salty. Very cramped seating and extremely loud. But the good food made it worth those downsides. First time at The Local. Great local beer selection and excellent food. Our waiter gave us excellent insight on the menu. 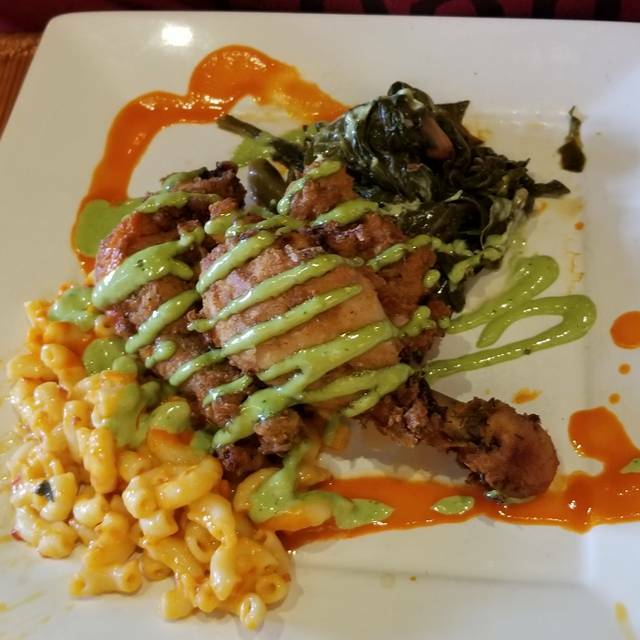 The fried chicken with collard greens and Mac n cheese was delicious. Food and service were top notch. Familiar descriptions of the food on the menu but a wonderful, different, and unexpected take on each of our selections. Service was awesome from the time we walked in to when we walked out. Very welcoming. Menu had a grear variety of dishes, rasberry beer was delicious. Delicious food with a reasonable price. I recommend the trout dish. A bottle of wine is half price on Mondays. We got the local Cab Franc from the Jefferson winery and it was excellent. Didn't have room for dessert. The ambiance was very nice. Service was excellent. The hostess was very pleasant and professional, as were our servers, and that accounts for my 4-star rating. The food was very average (with the desserts not really worth ordering, and we tried three). We enjoyed being seated upstairs and that space has a lot of character. It was exactly what I thought it would be. Casual, relaxed, and fine. Delicious food. Server was very knowledgeable about wines and food selections. Made great suggestions. I would go back just for the flambe'd banana split! Never had a banana split made in that manner it was a great treat. The ahi tuna and the lamb ribs were amazing especially since they are hard to find in this area. Great experience. Excellent food and highly attentive wait staff. We are from out of town and ate there on the recommendation of a local. Very pleased that we did. The Local is really good about understanding food allergies and is willing to think creatively about how to deliver a good meal and experience within those constraints. Great food. Great waiter, but he was stretched a little too thin. 2nd time we've eaten there -- couldn't wait to go back when in Ch'ville! Cocktails are creative and yummy (especially enjoyed the margarita!). Cauliflower and brussels sprouts appetizer is a must, BUT chef went too crazy with the red pepper this time, so it was TOO hot. Had steak and salmon entrees and both were excellent. Love the blackberry cobbler dessert. First time for my husband and I at the Local. Everything was delicious. We will return again and recommend it to others. The lobster mac is devine. My husband gets the burger. It’s his favorite. The crispy shrimp are amazing. Great atmosphere. If you are looking to be part of the younger crowd, ask to be seated upstairs. If you are wanting a historic feel, ask to be seated downstairs. The food is great, staff is knowledgeably and friendly. Our waiter was great! We had a large party and he did a great job managing everyone's requests. Always great food & service from our server. Last time, the hostess tried to seat us upstairs directly underneath a large, loud heat & a/c unit. It took a couple of tries to convince her to move us to a better table away from the noise and blasting air. On this visit, she tried to seat us there AGAIN! The room was mostly empty at the time. Those tables should be used only as a last resort. Great food, cool places, friendly staff, reasonable prices, what more can you want? The Bison and Short Ribs were amazing. Have been here many times. My last visit was the first in years, having moved from Charlottesville in late 2016. Consistently very good. We were greeted and seated promptly and politely. I had duck which was perfect husband had salmon which he seemed to like. Dessert was a disappointment to me. Peanut butter/chocolate brownie with ice cream. Brownie was stale and there was no evidence of peanut butter. Hub thought it was ok and finished it. We did not tell server. We would return. Our server was great (Chris? Glasses and southern accent). 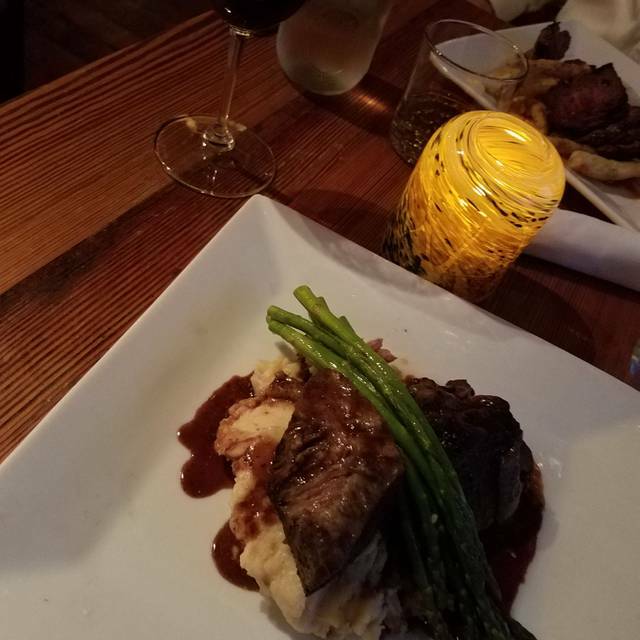 Short ribs were to die for. One of us had salmon and that was also delicious he reported. Sadly, we had no room for dessert. This is my husband’s and my favorite restaurant for dinner. As usual, the service was friendly and attentive. The food was delicious and well prepared. 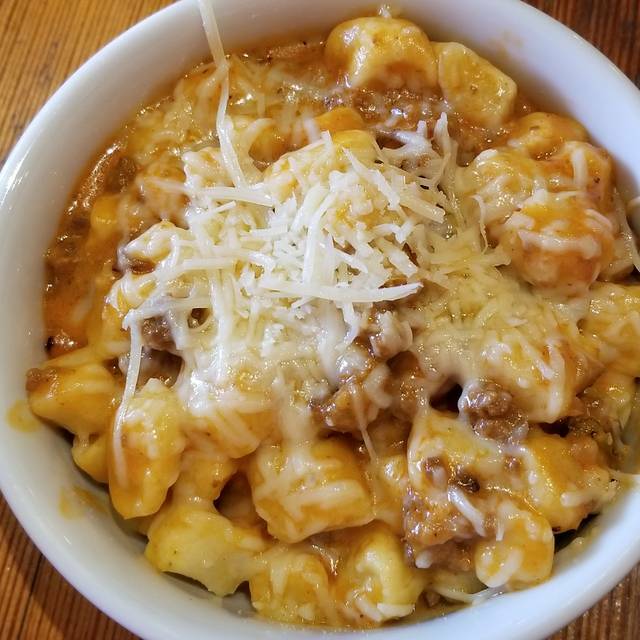 The duck was cooked perfectly, and my husband always loves the gnocchi and meatloaf. The shrimp appetizer is the best shrimp in town. The food was very good. Cool place. My girlfriend and I came here for my birthday. Our server made great recommendations; not one of them was disappointing. They didn’t have the whiskey I usually liked, but he suggested I try this other one, and it was wonderful! I got a second one as well. The atmosphere is wonderful, like a small, rustic art gallery. I couldn’t help but smile, as my girlfriend and I shared our steak and chicken entrées. Top notch meal with top notch service. Meal good enough. short ribs great, meatloaf pretty mediocre. Appetizer bread was over-baked and crusty. 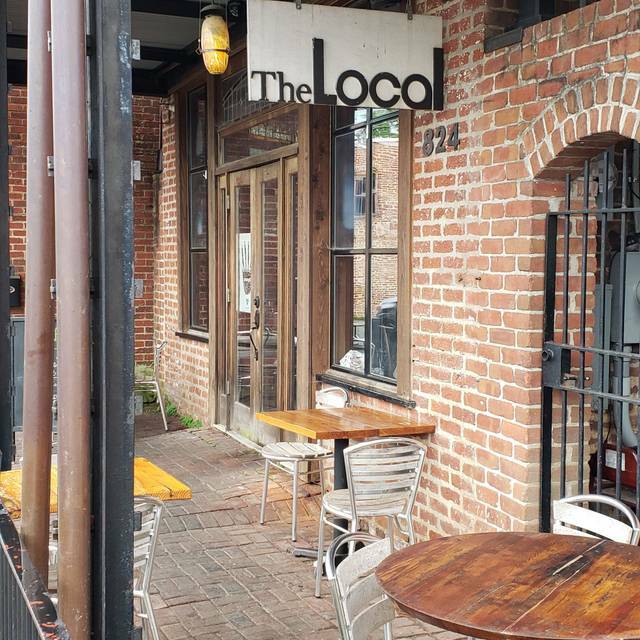 The Local is pretty much our go to place regularly. Rack of lamb appetizer was perfect. Pleasant to have a window table to watch people on the street. We ate early as we were going to a show but the noise level was starting to go up before we left. Have been many times for open mic, but not to eat. Everything was solidly good. 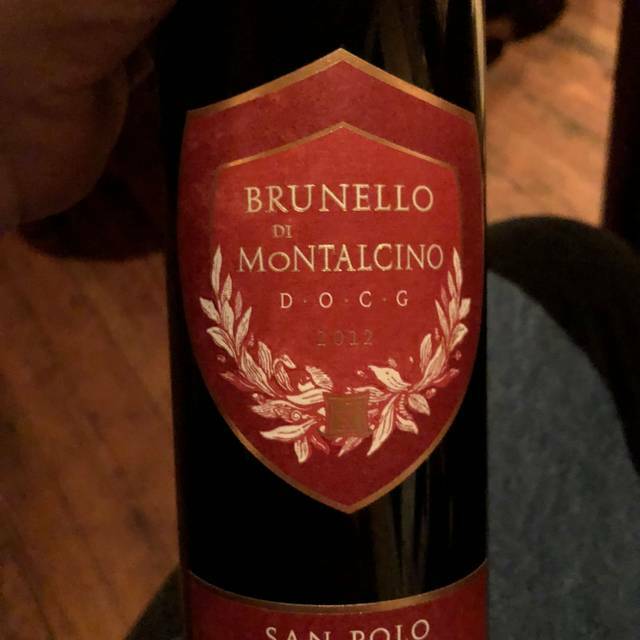 Amazing food, great wine list, friendly service. Will go again to eat. I frequent the local often and usually it is outstanding. This trip food was okay. My steak was over cooked and my wife’s was under cooked and had a lot of fat. Birthday celebration. We ordered 2 desserts to share with 5 at the table. The staff put candles in them before bringing to the table and spoons for all of us. Complete surprise. I love The Local! It’s definitely a Charlottesville gem. The food is delicious, and I love the rotating specials menu because it showcases the chef’s talents. Highly recommend the Brussels sprouts/cauliflower appetizer! Unpretentious, barebones kind of place. Poor acoustics and thus very loud. Table behind me had a guy whose raucous laughter startled me every time! Husband's food Steak and Fries came out cold and had to be reheated. 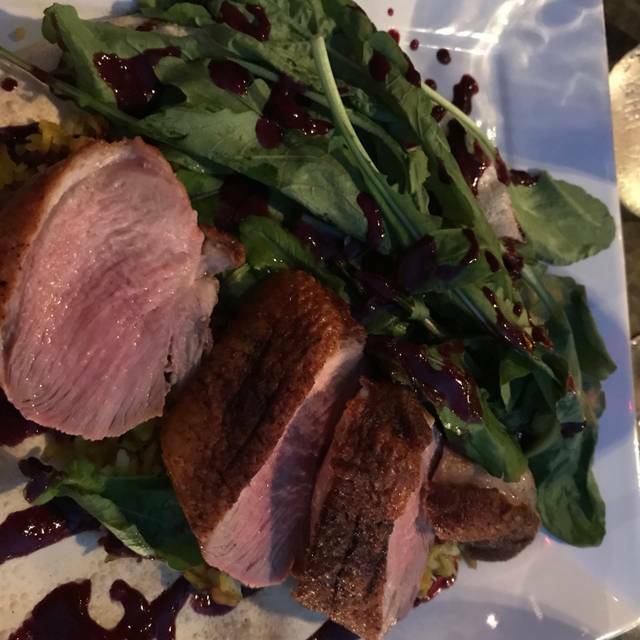 My duck Magrets were delicious. His food once reheated was good, though now, not great. They need more runners or servers on busy nights to ensure that the food is delivered warm to the guest's table! Great location and service. Food was outstanding and reasonably priced. Everything about our evening was wonderful. The service was excellent, the food was excellent, the music was great, and the "winter weather" looked so beautiful outside the glass. We had an awesome time! The food was amazing and the service was incredible as well. Great food, great service, great night out in Charlottesville! Great restaurant in Belmont. The old brick buildings make you feel like you are back in the late 1800’s. The food was excellent, and you can order half portions on many of the entrées. Go after 8:00pm for a more intimate dinner. Amazing food and great service -- a well hidden treasure!